Twilight gets a lot of hate, a lot of hate. Up until last Tuesday I was one of those haters. I mean sparkly vampires, and corny romances don't lend themselves well to 100% percent support. I went to the cinema with a friend and her daughter to see the third film in the series. But what did I think? A girl called Bella is dating a Vampire called Edward, but a Werewolf called Jacob also fancies her. Meanwhile some Vampires with a grudge against Bella is raising an Army of Vampires to descend on the Mountain Town of Forks and kill both Bella and the Cullen family (Forks residential Vampires) That's about it for plot, most the story revolves around the love triangle of Edward, Bella, and Jacob, and around Bella's wish to become a Vampire (which Edward, and seemingly every other character opposes). The film isn't that bad, and I found myself quite into it. It helps that I like romance films anyway. Not being or every being in a relationship in the real world I find it easy to like romance plots, and root for the lovers to get together/sort out their problems. Not having seen the previous 2 films I was worried I would be a bit lost, but reading the Wiki plots for those helped a bit. It was easy enough to work out what was going on. The characters are all hyper attractive for the most part. The Cullen family Vampires, the weird red eyed Vampire things, as well as the Werewolves are all stunning looking people so it was easy on the eye. The Vampires in Twilight differ from normal Vampires. For one, they glitter in sunlight. This does look as terrible as it sounds, but thankfully there were only one or two scenes this occurred in. The Vampires have cool orange eyes, and very pale skin, but don't have Vampire teeth, and can go out in the sunlight. They appear to be made of pottery which was weird. At first I thought it was just crappy effects, but no, the Vampires are made of pottery, and shatter as such when attacked. I found it quite odd that no one notices that the Vampires are Vampires as they look completely different to the rest of the Town. The Werewolves hang out wearing barely any clothes in their human form, and as Werewolves they are gigantic and look quite fearsome. Vampires are the mortal enemies of Werewolves, the origin of this is shown during the film. Some of the origins of the Vampires themselves are also shown which is cool. Better done than the terrible flashback sequences in Angel. The film deals with themes of opposition. 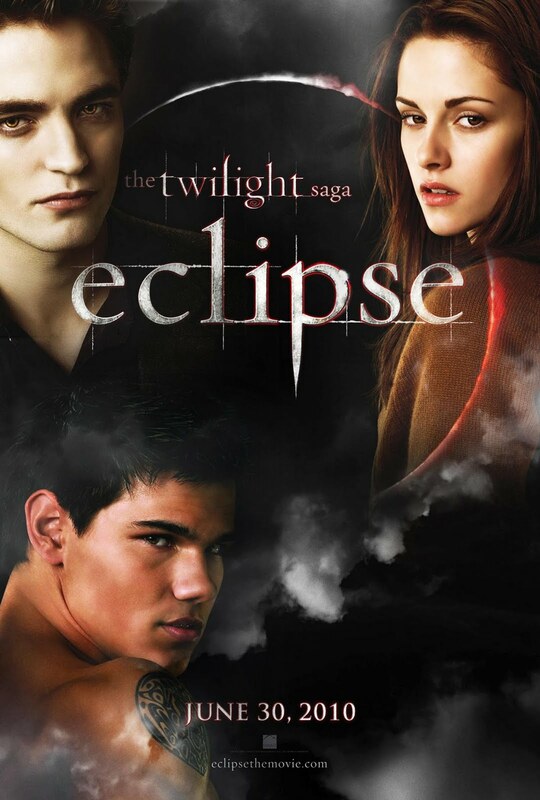 The Werewolves and the Vampires conflict, the misguided Army of young Vampires tricked into hating the Cullens, and the love triangle that sees Jacob and Edward competing against each other. There is a few scenes of action, with some cool fighting, but at it's heart Twilight is a love story. I think anything that introduces young people to horror is good, and shouldn't be slagged off without being given a chance.